Today we are interviewing Jim West, author of the middle grade fantasy book Libellus de Numeros, which spark young readers' interest in the STEM fields. I was born in Killeen, TX in 1977 and grew up mostly in central Louisiana. For over 18 years I have worked in the Cyber Security field and came up with the ideas and concept for the Magicae Mathematica series about a decade ago. 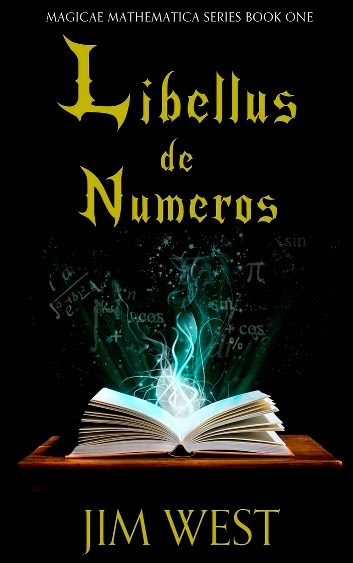 My first book of the series, Libellus de Numeros, is one I hope will resonate with its young readers. 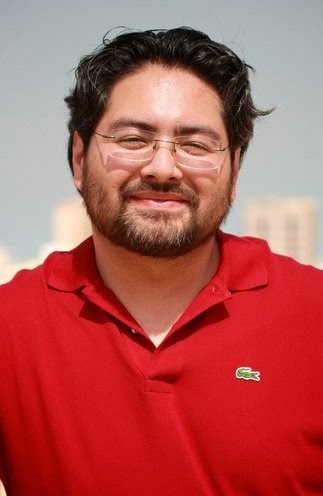 I am a father of two SMART and beautiful girls whom I love dearly and when I am not away 'saving the world' we live in Dubai, UAE with my wonderful wife Eman. Describe the Magicae Mathematica series in a few sentences. A young girl, who has anger issues due to her parents demanding careers, finds herself mysteriously transported to a world where math is magic. Too bad she never paid much attention in math class. What inspired you to write the Magicae Mathematica series? My two daughters, Mya and Tia. They both are part of this story in many ways. The main character of Alex is based upon them both. My oldest used to wear a red hoodie and that became part of Alex’s character’s look. Both of their personalities are ever present within the book. Why do you think young girls will connect with the series? I hope young girls will identify with the strong young female main character of Alex. Too many big books have the main male character, and I hope Alex will become a good role model to look up to. Archimedes is a character in your book. What was it like channeling this ancient thinker? Archimedes is the first ‘absent minded professor’ in history. It was fun writing his character, all the while maintaining a fine balance of logic and humor. How do you hope your book will impact young readers? The biggest dream I have is to inspire an entire generation of young readers to become scientists, mathematicians, and engineers. To be part of a change that is generational is huge to me. I hope my books sparks the interest in the STEM studies. A large part of the reason there is a gender disparity in the STEM fields is because of a lack of role models for young girls. Why do you think there is this lack of role models? There is not so much a lack of role models, but more perhaps a lack of public awareness of who they are. Ada Lovelace and Marie Curie are two historic examples, but today we have great mathematicians like the recent Fields Medal winner, Maryam Mirzakhani who deserves more spotlighting so young girls can have more role models to look up to. How have your daughters reacted to your book? They love it. Everyday there is something new happening in regards to the book, and they get the front row seat to all that is occurring. Well Book Two of the Magicae Mathematica Series, Circulus de Potentia (Circle of Power), is being worked on now. I should have it ready for publishing by this summer. This is a self-published independent work by myself. I am a nobody in this huge industry of book writing. I don’t have the marketing team like the big authors do. I don’t have the advertising budgets that big publishers do. It takes each and every fan I gain to help get the word out on this fantastic story. My success is not just in sales, but rather in the fans and their word of mouth. Every time a fan shares or retweets on social media helps spread the word. Each fan is important to the success of the bigger goal of impacting an entire generation. I tremendously appreciate each and every one of my fans.